Do you still own one of those bisque-colored refrigerators, circa 1990? Maybe it’s humming along out in the garage, a second icebox to store bulk items from the warehouse club or produce from a farm co-op. If you think that’s thrifty, think again: You’re harboring an energy hog. The annual energy cost of a refrigerator built before 1990 is more than double that of a similarly sized model today, as you can see in our refrigerator ratings of more than 400 models. (The national average rate for residential electricity is about 13 cents per kilowatt-hour.) All that electricity adds up, accounting for up to 10 percent of your utility bill. To find out how much you can save on monthly energy costs by retiring an old refrigerator or freezer, use the Energy Star Flip Your Fridge Calculator. Some states and utility companies offer a financial bounty to get rid of an old refrigerator to help offset the cost of a new one. Check the Database of State Incentives for Renewables & Efficiency for details on programs in your state. For our energy-efficiency score, we calculate electricity consumption per cubic foot of usable storage, based on our own measurements. The total usable capacity we include in our ratings is often less than the capacity that manufacturers claim. Here we highlight five affordable, energy-efficient refrigerators from our ratings that give you extra storage without adding to your energy bill. 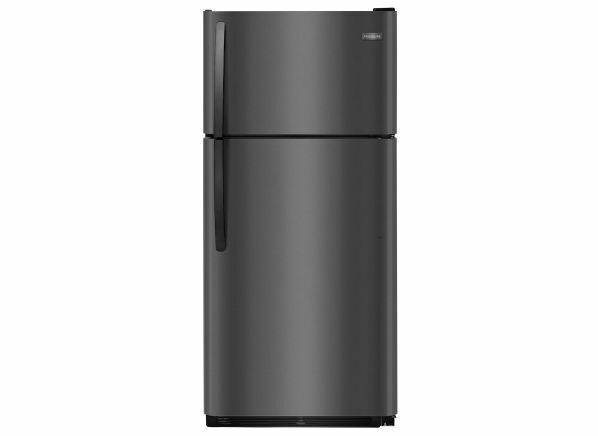 CR’s take: With its black stainless steel finish, the stylish Frigidaire FFTR1821TD top-freezer only looks pricey. It’s a strong performer in our tests, scoring well when it comes to energy efficiency, thermostat control, and temperature uniformity. 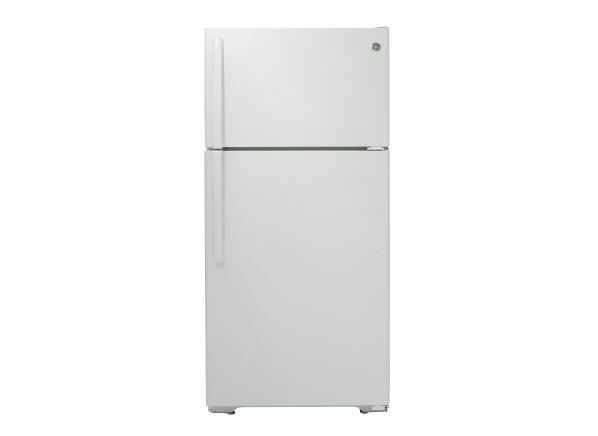 This Frigidaire has a usable capacity of 15.3 cubic feet. You can add an optional icemaker, a useful feature if you have a water line in your secondary space. CR’s take: The GE GTE15CTHRWW top-freezer, a CR Best Buy, offers exceptional energy efficiency and a measured usable capacity of 11.6 cubic feet. Overall, the GE is pretty basic, but at less than $600 it’s a solid fridge that will provide the extra storage you need at a reasonable cost. Like the Frigidaire above, this refrigerator has an optional icemaker. 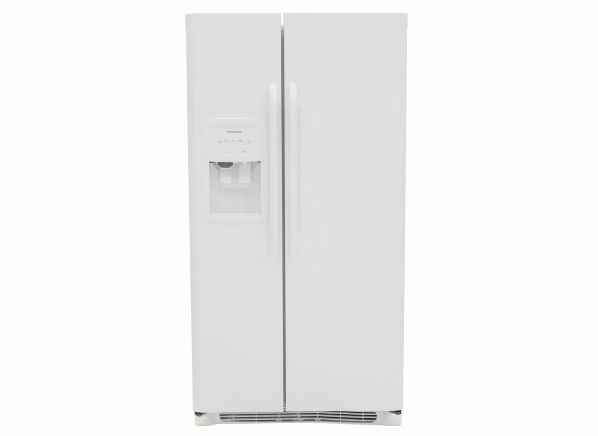 CR’s take: The Frigidaire FFHS2622MW costs more to run per year than the top-freezers above, but it’s still a lot cheaper to operate than an older side-by-side. 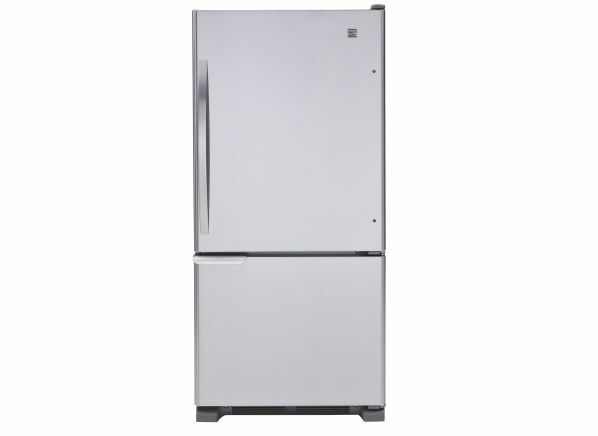 This Frigidaire offers solid energy efficiency, temperature uniformity, and thermostat control. It provides 17.9 cubic feet of measured usable storage. This side-by-side costs more than the other models here because it comes with a water/ice dispenser. CR’s take: If you prefer a bottom-freezer refrigerator, consider the Kenmore 69313—it’s affordable and extremely energy-efficient. It offers superb thermostat control and temperature uniformity and is so quiet you probably won’t notice it running. With 13.4 cubic feet of measured usable storage, it’s a bit on the small side. CR’s take: The Insignia NS-UZ14XWH7 offers the most versatility of any of the models on this list. This upright freezer is a flex-freezer: It provides 12 cubic feet of measured usable storage that you can convert entirely to extra refrigerator or freezer space with the flick of a switch. (The temperature display on the door will remind you which mode it’s in.) This model, available from Best Buy, offers superb energy efficiency, and a handy feature kicks the appliance into high gear to quickly freeze your latest Costco purchases.